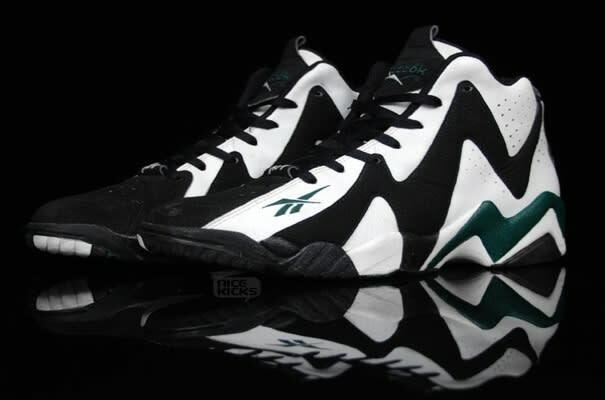 • Shawn Kemp's Reebok signature series was average at best, but the bright spot in his limited line was the Reebok Kamikaze II. It featured Reebok's lightweight Hexalite cushioning, which provided an unmatched comfort level. Kemp went on to experience his best NBA season during this year, averaging 19.6 points and 11.4 rebounds.